For a creative brief, I was asked to design an ad campaign for Fender Music Foundation. 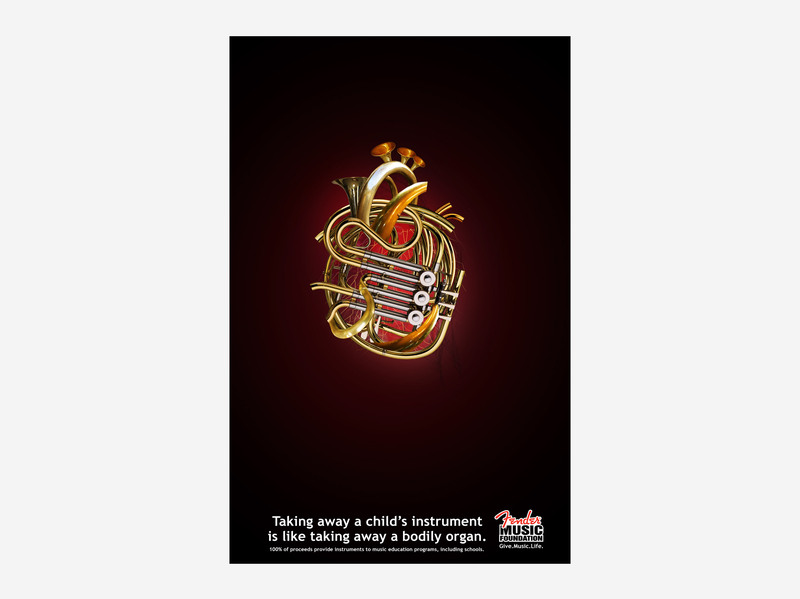 I decided to design the campaign around Fender's tagline, "Give Music Life" by creating a heart and lungs out of various school instruments. 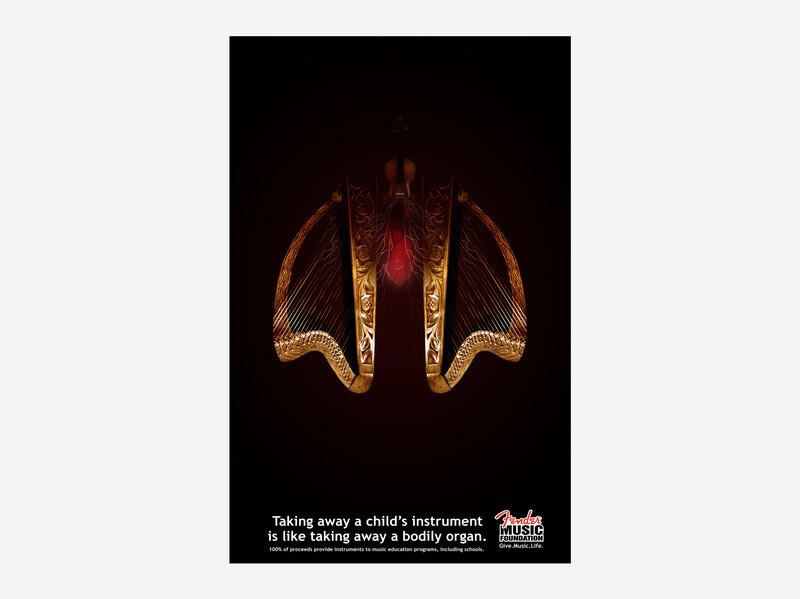 Music (in many cases) is vital to our survival, thus taking away a child's instrument, is like taking away a bodily organ. Both poster designs were selected for display at Czurles-Nelson Gallery in Buffalo, NY.